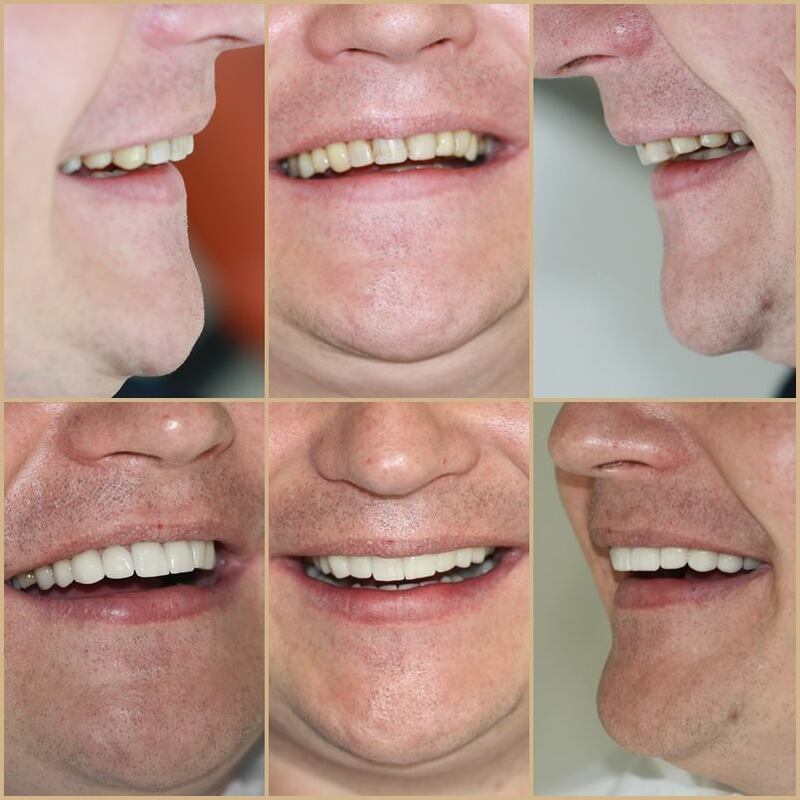 Dental Veneers have long been used to create the ultimate smile makeover. 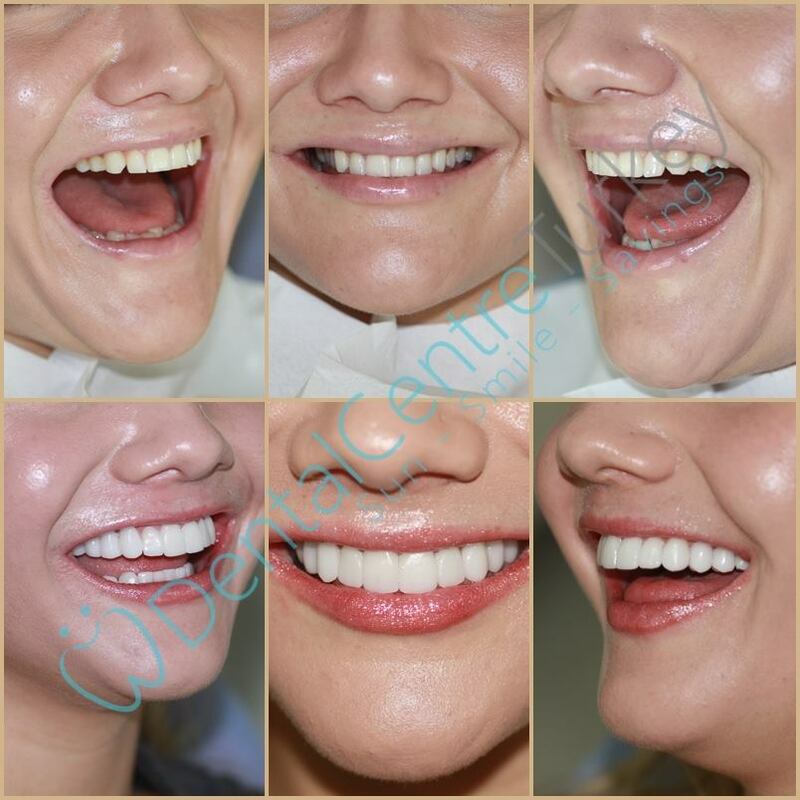 With this treatment, it’s possible to transform crooked, stained, damaged or badly worn teeth into a brand new, straight, white smile, as seen on many of the Hollywood greats. Minimal tooth preparation is required for this treatment. So what exactly are Dental Laminate Veneers? Laminate Veneers are wafer-thin laminates or shells of tooth-coloured material (which can be either porcelain, ceramic or composite bonding material). They are “cemented” to the front surface of teeth to improve their cosmetic appearance. Many dentists use the analogy that dental laminate Veneers are for your teeth what false fingernails are for your hands. Badly stained teeth that cannot be improved by teeth whitening or prophyflex treatments can have a full makeover with dental Veneers. Teeth that have become badly worn through excessive grinding or by carbonated drinks, as well as those that have been chipped or broken, can benefit from Veneers. A small chip on a tooth can quickly be repaired with composite bonding (also known as “composite veneers”). A single damaged tooth can easily be repaired with a porcelain Veneer that has the same characteristics and colour as your natural teeth. 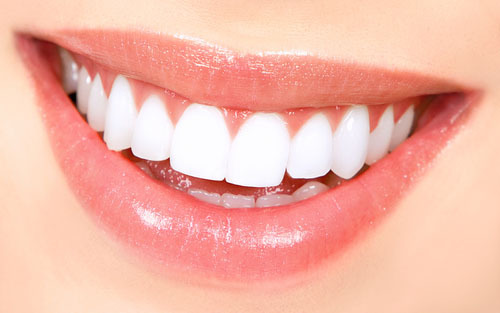 Veneers can also be used to realign the appearance of crooked teeth. Orthodontics or Invisalign braces are also a good solution however, such treatments can take years to realign your smile. For teeth that are not severely crooked, Veneers placed over their front surface will give a straight and perfectly aligned-looking smile. 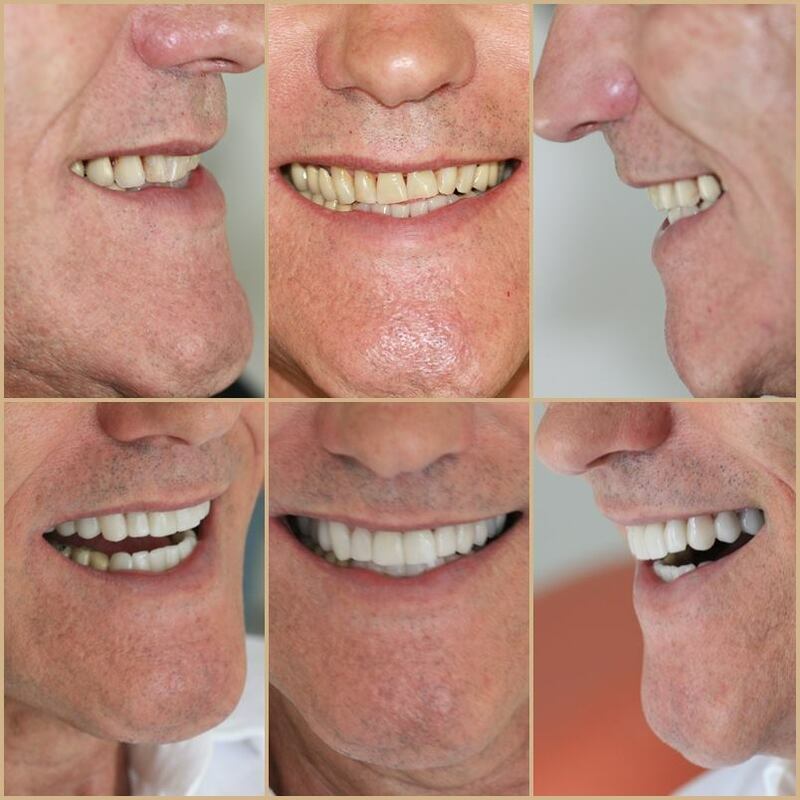 For this type of treatment, many people refer to Veneers as “instant orthodontics”, as you get a similar end result in a fraction of the time.